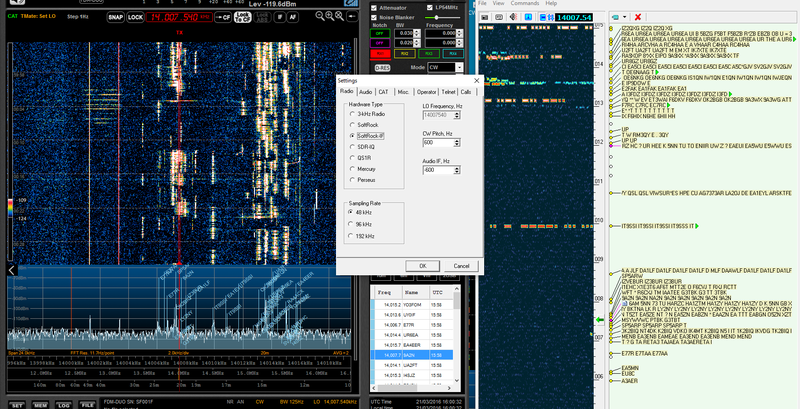 Quick test with CW Skimmer using the MEM setting for DX cluster to local 127.0.0.1:7300, using Softrock IF 48kHz with RX1 set to 48kHz IF and using the FT-897 CAT set. Works OK to click in the spots window in SW2 and on the Skimmer display. Ideally I want to use this on RX3/VRX3 so I con’t have to change to use 48kHz IF instead of audio for when I’m using every other bit of software, and don’t mess things up when I’m using split with RX2. Needs a lot more work!